Fancy some intellectual stimulation on your Sunday? Bombay Sapphire are hosting a special afternoon of cultural stimulation at The Club at The Ivy next Sunday (19th) featuring David Tang KBE, Jon Ronson, and Mickey De Hara. Plus an ultimate G&T! "Taking place on the last Sunday of every month from 12:30-5pm in the exclusive surroundings of The Club at The Ivy, Sunday Wise in partnership with Bombay Sapphire is a unique series of monthly events, for those who like to ‘think while they drink’. 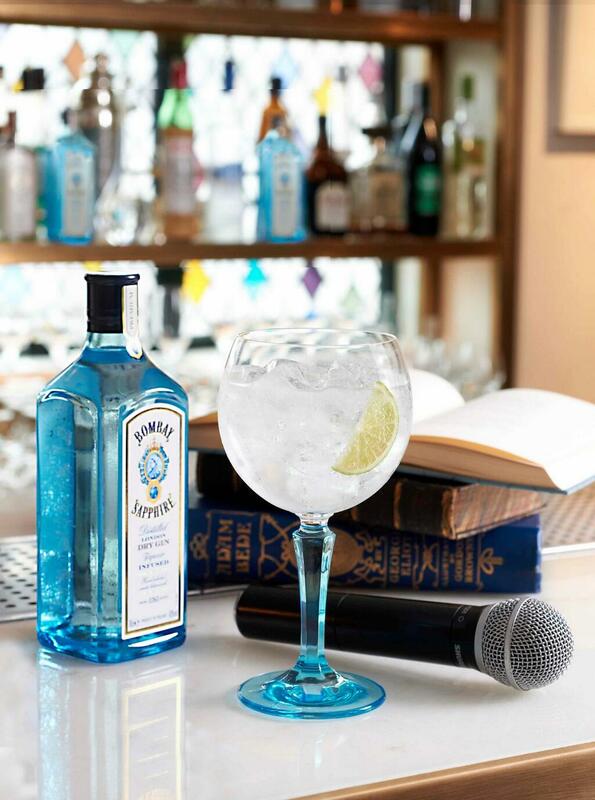 Created by Hamish Jenkinson, Director of The Old Vic Tunnels, the specially curated afternoon begins at 12.30pm in The Loft with guests enjoying a classic Bombay Sapphire ‘Ultimate G&T’ on arrival while listening to an eclectic mix of speakers who are all leading commentators in their field. The forthcoming event, on Sunday 19 May, is themed around film and has a thrilling line up of speakers confirmed businessman and socialite David Tang KBE, who will talk about the Chinese film industry and how it has grown to become the second biggest movie market in the world. He will be joined by Jon Ronson, the acclaimed author, journalist and documentary filmmaker whose work include The Men Who Stare at Goats and Mickey De Hara, Founder of Film4Life, a non profit organisation that aims to help young people achieve a career in the British film industry. The chosen speakers debate topics and discuss current affairs from the week, before some inspirational words or street poetry are given from a chosen artist. Lunch is served in the informal surroundings of The Piano Bar with entertainment provided in the form of some slinky pianists and talented vocalists. Guests return to The Loft after lunch to experience some of London’s freshest comedy talent, hosted by a compere."